Travel back in time and relive the building of the Statue of Liberty! This is more than just your basic tourist trip, so much more than just a guided tour! You'll experience first-hand the fun and history behind this symbolic site, a symbol of the industrial revolution, true progress and the United States of America! 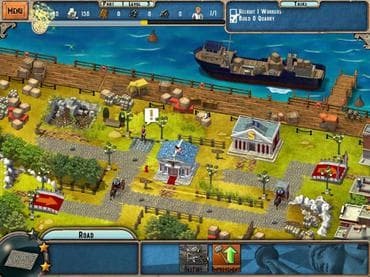 Free Game features: - Manage the Statue of Liberty construction site from 1883 to 1886; - Make the most of your workers and your resources; - Improve your knowledge of the history of the Statue of Liberty; - History in the making with the most recognised statue in the world. If you have questions about Monument Builder: Statue of Liberty game, please contact us using this form.